New England Village has been awarded the highest level of accreditation by CARF International for our Day Habilitation Programs at the Efron Center for Enrichment and the Sollar Wellness Center. CARF accreditation is a public seal of trust and commitment to quality based on internationally accepted standards. Achieving this accreditation demonstrates New England Village's commitment to exceptional, personalized care. An organization receiving the highest level of CARF accreditation has undergone a detailed peer review process and has demonstrated to a team of surveyors, during an on-site visit, its commitment to providing programs and services of the highest quality. For more information on CARF, visit www.carf.org. 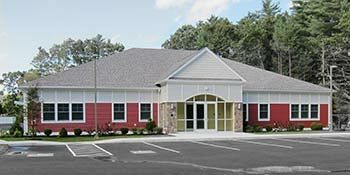 New England Village (NEV) utilizes a highly individualized, person-centered approach to Day Habilitation and offers two distinct, yet complementary programs to best meet the needs of all individuals served. Day Habilitation is a Medicaid funded program of services for adults who are 22 years of age or older with a diagnosed developmental disability. These programs are designed to improve the functional abilities of the participants. To that end, each person has a customized, person-centered service plan based on the individual’s learning ability, therapeutic needs and personal interests. Measurable goals and objectives are established and an integrated program of activities and or therapies are prescribed to achieve the stated goals. Both of our Day Habilitation programs provide a practical approach to skill-based programming with an emphasis on developmental skills, gross and fine motor skills, life skills, communication skills and meaningful community participation. Our Day Habilitation programs are held at one of two facilities: the Efron Center for Enrichment (ECE) and the Sollar Wellness Center (SWC), both of which were custom-designed and built specifically for adults with intellectual and other developmental disabilities. 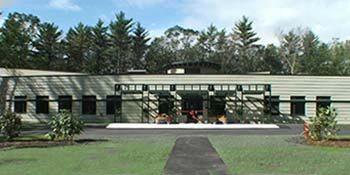 Located in beautifully landscaped settings, both offer bright and spacious group rooms, adapted computer labs, fitness rooms, training kitchens, outdoor patios, and walking trails. The SWC has a 30-foot by 50-foot swimming pool that is utilized by both programs. The ECE offers a horticulture room and multi-sensory room. The programs operate Monday through Friday, 9 a.m. until 3 p.m.
Click here for more detailed information about NEV's Day Habilitation programs.